Using data glasses at the company had just been visionary a short time ago. 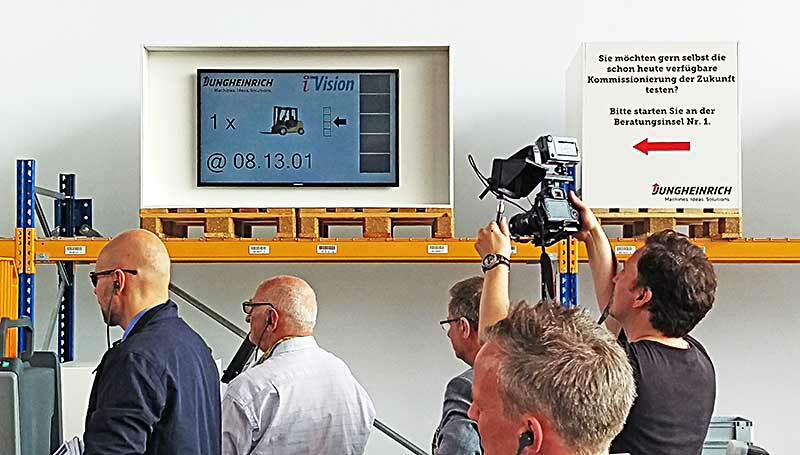 But iVision has reached intralogistics in the meantime. We could successfully present its connection to productive and innovative systems together with Jungheinrich at the CeMAT. Such efficient solutions with the aid of data glasses make for smooth material flow from the receipt of goods and the accompanying processes, like order picking and the shipping area to stock-taking. Using this innovative technology makes it possible for coworkers to have their hands free and to get optimal directions along the way through optional visual process management. Our solution can be implemented in your system surroundings without any great effort, regardless of what system you are using, like, for example, EPS, ERP or solutions of your own or SAP or Navision etc. Feel free to get in touch with us over a presentation on your premises. We will be happy to show you the implementation of our solution!